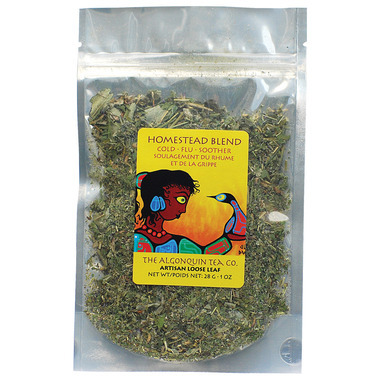 Algonquin Homestead Tea is named for the pioneers who enjoyed these herbs for fighting colds, fevers and flu, as well as being a delicious and soothing drink. Item is not sold as shown and the taste is pleasant. But an expensive cup of tea. Probably won't buy again unless it sells for half the price. Okay flavour. Earthy and strong. Not sure if it helped much with cold and flu.